The only previous occasion that Sébastien Loeb had successfully attempted a backflip on the final podium of a rally was back at the 2004 Tour de Corse to celebrate his first world title. 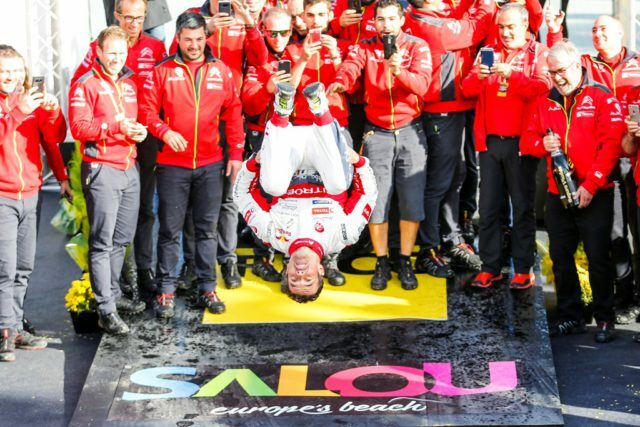 The former gymnast repeated the feat last weekend, confirming the historic significance of this victory, claimed in the final guest appearance of his part-time return in 2018, six years after he contested his last full season in the WRC. Citroen Racing team principal Pierre Budar answers a couple of questions about the rally. What can you say about this win? First and foremost, I would like to congratulate the team! This win is incredibly good for everyone and is richly deserved. The team never gave up. We remained committed despite the difficult times that we have had to go through this season. In fact, everyone just worked even harder to succeed and manage to get this result. It’s especially satisfying to win once again and remain unbeaten in Catalonia for the second year running. 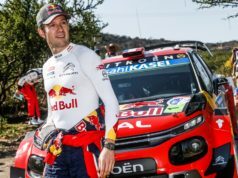 This mixed-surface rally is one of the ultimate challenges of the season, and this year it was made even more difficult by the treacherous weather conditions, particularly on Saturday. In spite of this, we were competitive on both gravel and asphalt, particularly grabbing three stage wins on tarmac. We also made some bold, decisive calls on tyre choice, and from a mechanical point of view, we had a completely issue-free weekend. 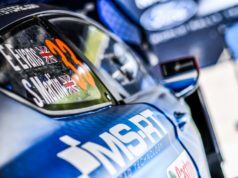 And yet this weekend includes some of the hardest service periods of the year, particularly switching the cars from gravel to tarmac spec on Friday evening in just an hour and fifteen minutes. But we had prepared very well for the weekend in the workshop and everything went perfectly according to plan. Did you think that Sébastien and Daniel Elena were capable of such a performance? We knew that with Seb and Danos, you have to expect the unexpected! Once again, they proved it and in some style. They got their bearings back again very quickly, regardless of the surface, and performed at an incredible level, all of which without making any real mistakes. Sébastien and Daniel have undoubtedly written another page in their fantastic story this weekend. We have once again been involved in their extraordinary fate, and it’s absolutely fabulous to have shared such an emotional experience with them! 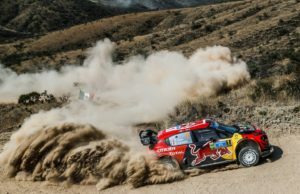 Kris Meeke’s win in Mexico – the definition of emotion!